September 18-20, 2015 – A delegation of Moscow Theological Academy (MTA) was on a visit to Georgia. It was led by Archbishop Yevgeny of Vereya, chairman of the ROC Education Committee and MTA rector. 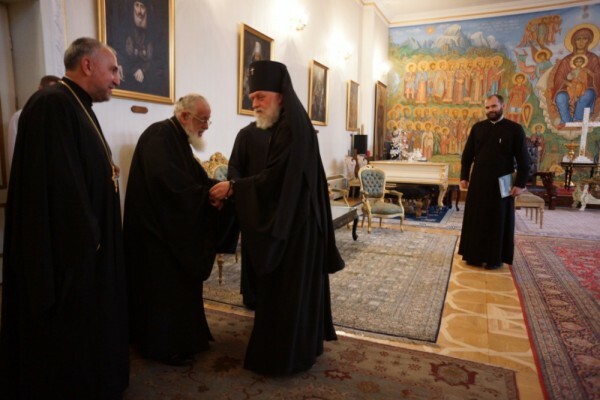 The delegation included Archpriest Yelevfery Kolodezny of the Education Committee, and Protodeacon Igor Mikhailov, head of the MTA church archaeology museum. The delegation visited Tbilisi Theological Academy. During their meeting with faculty and students, Archbishop Yevgeny informed them about the progress of reforms introduced by the Russian Orthodox Church in the theological education and answered questions from the audience. The delegation presented the academy’s library with the collected articles Moscow Theological Academy is 325 Years Old and the collected articles devoted to the 200th anniversary of the MTA’s stay in the St. Sergius Monastery of the Trinity. 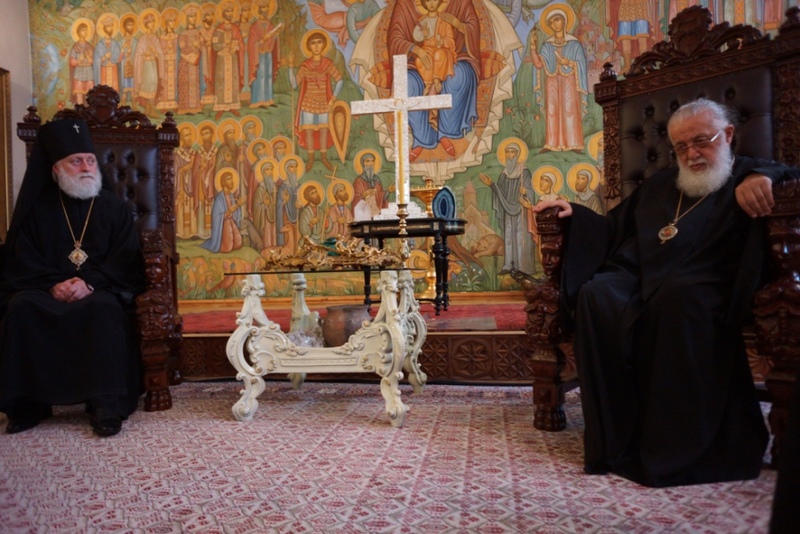 The delegation was received in audience by His Holiness and Beatitude Iliya II, Catholicos-Patriarch of All Georgia. Archbishop Yevgeny presented His Holiness with a copy of his portrait painted during his training at the MTA (Patriarch Iliya graduated from the MTA in 1960). After that the delegation visited the church of the Most Orthodox Prince Alexander Nevsky in Abastumani to see the frescoes made by Mikhail Nesterov, an outstanding artist and icon-painter. The sketches of these frescoes are preserved in the MTA church archaeology museum. 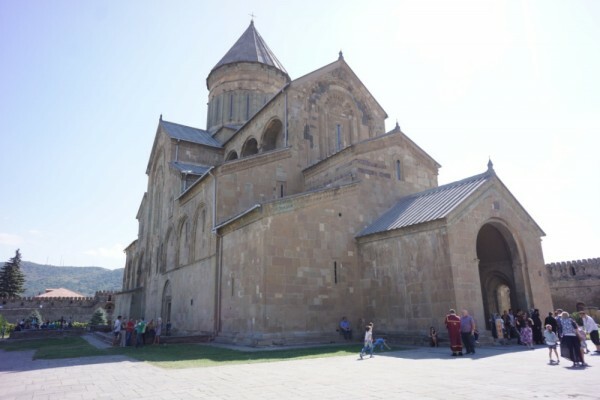 On September 20, the delegation concelebrated with the Primate of the Georgian Orthodox Church,Patriarhia.ru reports with reference to the MTA website.